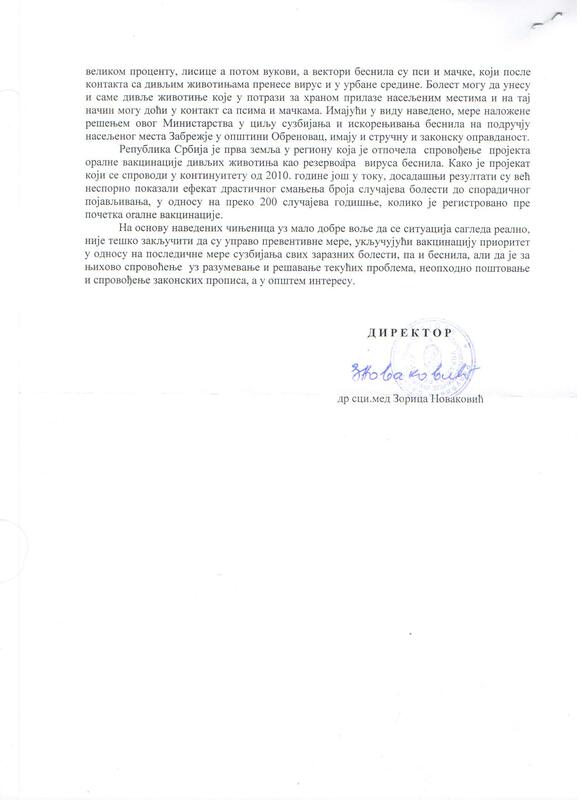 Serbia: 27/8/2013 – Serbian Campaigners Write to Ministry of Agriculture Asking for Proof of ALL Serbian Rabies Outbreaks – and Where Has All the EU Provided Money for the Eradication of Rabies Throughout Serbia Actually Gone ? 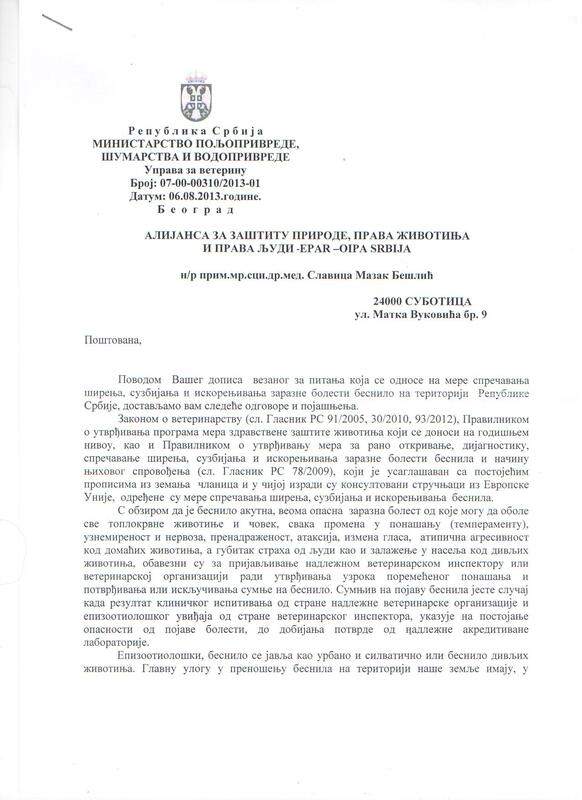 Serbian campaigners have now written a letter to the Ministry of Agriculture to ask for copies of all documentation associated with the alleged Rabies outbreaks recently in Serbia. We have our doubts that Rabies outbreaks have happened in some regions – rather they have just been ‘invented’ by the authorities as a quick and easy excuse to kill many stray animals, as this would be permitted under Serbian law IF there was an outbreak of rabies. But we have our doubts that Rabies is actually a reality as the OIE in Paris never appear to be informed of these alleged outbreaks. The OIE are the very people who should rapidly be informed in order that they can provide bulletins globally on the situation – please see addition links below for more information. Campaigners are also asking for proof of where all the money provided by the European union (EU) for the eradication of Rabies within Serbia has gone. They are requesting full details of proof that all the money has gone into the project which the EU supplied it for – the eradication of Rabies in Serbia. Ponovna urgencija ,jer nam do danas niste dostavili trazene kopije dokumenata . 26.8.2013. u 11h , usledice Zalba Povereniku za info od javnog znacaja, vasa adresa ce biti u Cc.